Kylo Ren is my new favorite villain. He clomps around menacingly, has an eerie, almost mechanical, baritone voice, and just the right amount of that famous Skywalker immaturity. 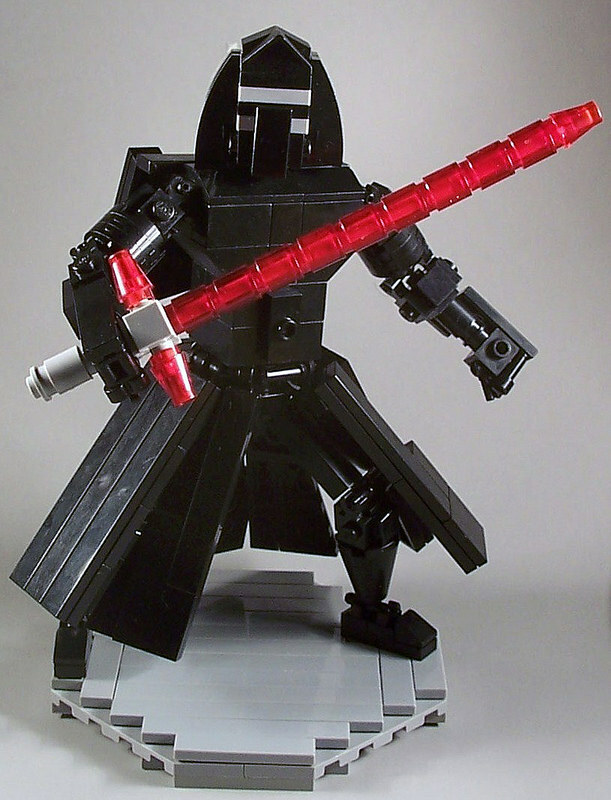 Though we recently also featured torokimasa’s chibi Kylo Ren here on TBB, Kevin Ryhal‘s brick-built Kylo was too good to pass up. Kevin perfectly captured Kylo’s distinctive flowing robes (no easy feat with brick) and the unstable blade of his vented lightsaber. Also, the battle-stance pose is spot on.